Go beyond Giza and explore some of Egypt’s less-visited pyramids on this door-to-door tour of Saqqara, Dahshur, and Memphis. Spare yourself the hassles of haggling for transport and benefit from an Egyptologist’s expertise as you tour the Pyramid of Djoser at Saqqara, the Bent Pyramid and Red Pyramid at Dahshur, and Memphis, once the capital of ancient Egypt. Please note entrance fees are at your own expense. 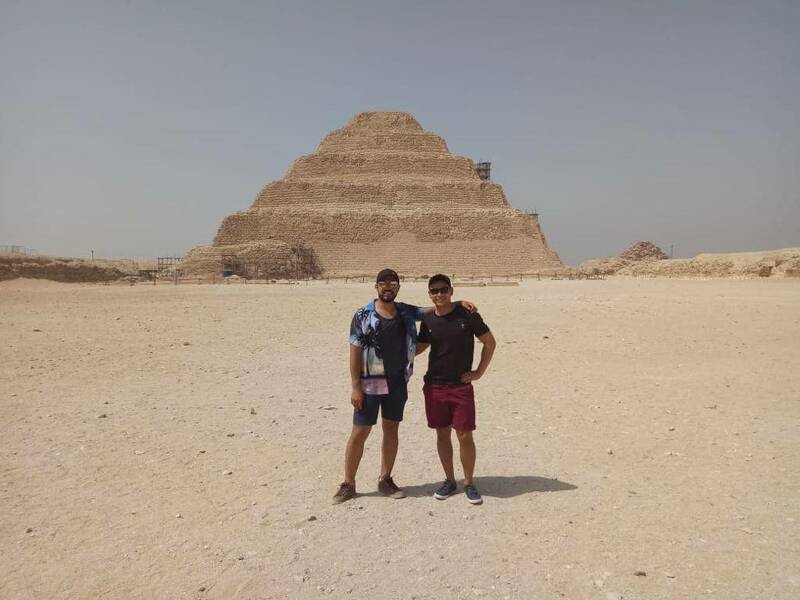 starts At 8:00 am Pickup from your hotel in either Cairo or Giza By Emo Tours guide to Start your full day tour visiting Sakkara Pyramid, located only 27 km southwest away from Cairo. Visit the Step Pyramid (Built for king Zoser), it is considered an important part of the process of the pyramid evolution, which were made from the simple mastaba to its widely known form.